Overview… an illegal genetic experiment created by Dr. Jumba Jookiba. 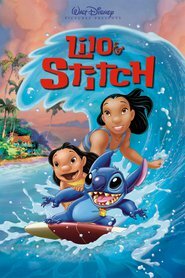 When Stitch (aka Experiment 626) and his maker are taken to the planet Turo to stand trial in front of the Grand Councilwoman, Stitch seizes his chance and escapes. But the bad news is that he winds up getting stranded on the Earth island of Kauai. Pretty soon, the authorities are after him, and Stitch must find a way to protect himself. Luckily, an eccentric, lonely little girl named Lilo comes along, looking for a pet. Stitch must now play puppy dog or face capture. Personality… mischievous, devious, and vicious. Stitch was designed to be virtually indestructible and also very destructive – a chaotic little monster that could raze cities to the ground. For now, Stitch has to tone down his violent tendencies in order to maintain his cover. But that doesn’t mean he won’t topple the odd sandcastle every now and again. Stitch's popularity ranking on CharacTour is #816 out of 5,000+ characters. See our top-ranked characters and read their profiles.